Many of Ken's attacks get better when he is the one who initiated the strike. His Shoryuken is his most iconic move. While viable on defense due to its Guard, it can be used at high speed at close range, giving Ken a card that outclasses the faster Normals in terms of damage. Since he has plenty of built-in power, Ken's boosts mostly help to improve his speed–increasing the viability of his attacks and discouraging opponents from attacking into him since he'll be striking above the speed curve anyway. Ken's style is all about rush down, and he has plenty of tools to make it work. His character ability lets him step in and draw a card. Other fighters spend 1 card to get in, while Ken gains one, effectively putting him 2 cards ahead of enemies who try to zone him out. If he needs to get in fast, many of his Criticals extend his range by closing in before they check range. He may get hit using the Knee Bash, but he can probably make the opponent hurt more, and set up pressure for his next attack in the process. 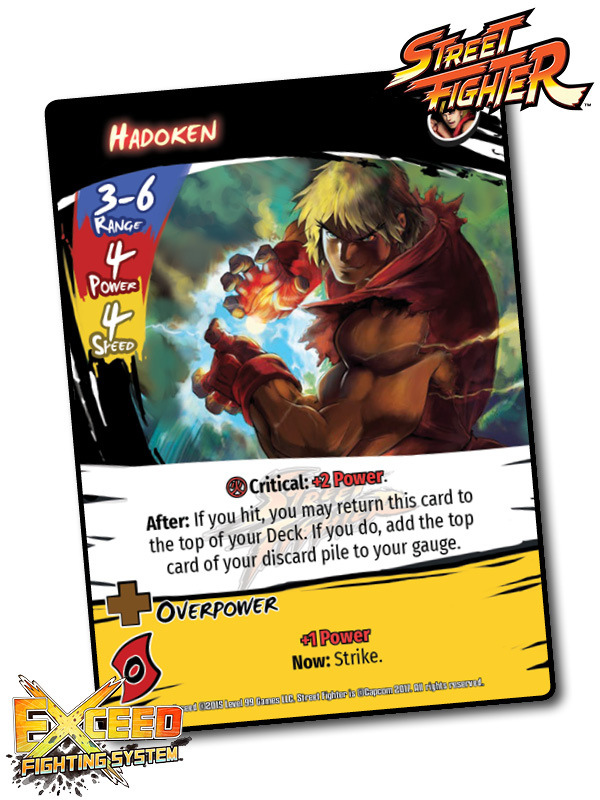 Ken's Hadoken is a parallel to Ryu's. 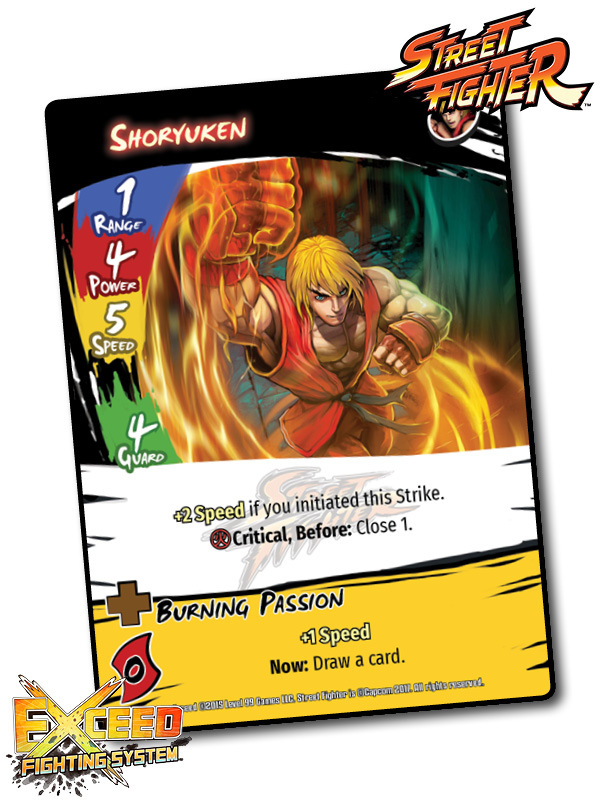 It's increased power on a Critical can help to do more damage, but it's more of an opportunistic move than Ryu's quick fireball, which can confirm hits at range much easier. Ken's Ultra Attacks have huge damage potential, and provide a payoff for the Gauge that he's built up through his high-pressure attack strings. 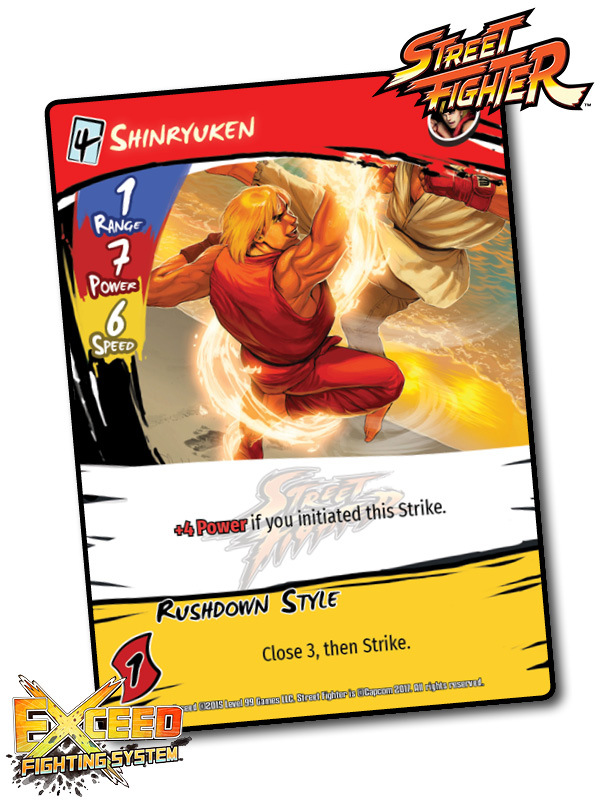 If you're looking for a surprise attack, the Rushdown Style boost is one of the most powerful in the game, and can put an unexpecting opponent completely at your mercy. I hope you've enjoyed this look at Ken! Look out for another fighter next week!